, we’re bringing to you “Better Know an Intern!” The series will introduce you to our interns who will give you the scoop on the impactful projects they work on, their interests and passions, and what it’s really like to intern at Google straight from the source. 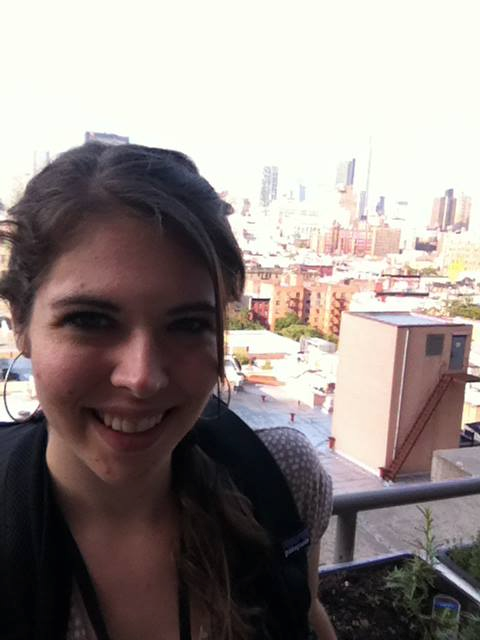 For our first post, meet Samantha Merritt, a software engineering intern in New York. This summer, Samantha not only worked to enhance user interaction with Google Now, but she also created study groups to prepare her fellow interns for their upcoming interviews for full-time technical roles. Click here to read more about Samantha’s summer experience as a Google intern. In addition to working on her core projects, Samantha collaborated with another intern to create conversion study groups for the technical intern community; in these study sessions, she organized mock interviews, discussions, and talks by full-time Googlers to help fellow interns prepare for their upcoming interviews for full-time offers. When back at UPenn, Samantha is an introduction to computer science teaching assistant, a creative writing teacher to younger students in west Philadelphia, and a talented artist. Once her internship ends, Samantha is looking forward to starting her senior year by doing an independent study on generative poetry, portfolio pieces for her fine arts minor, and senior projects. It’s intern season at Google! Interns are located at offices all across the globe, and represent a broad diversity of backgrounds, concentrations and interests. So inspired by Steven Colbert’s Better Know a District, we’re bringing to you “Better Know an Intern!” The series will introduce you to our interns who will give you the scoop on the impactful projects they work on, their interests and passions, and what it’s really like to intern at Google straight from the source.